Asif Ali Zardari has been underestimated from day one. The shrewd businessman has proved not only to be a master of the boardroom, but of political strategy as well. 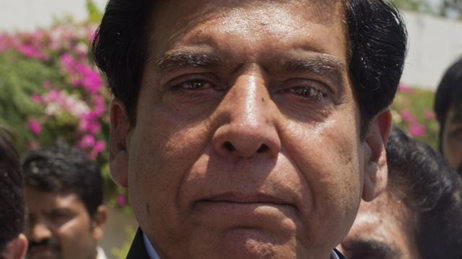 Nominating Raja Pervaiz Ashraf as Prime Minister after losing successive wickets appears his latest triumph. And, as with his previous deliveries, this one too seems to have outwitted the opposition. Nawaz Sharif termed Raja Pervaiz’s election as ‘tragedy’, but perhaps the PML-N chief was thinking of his own political fortunes. After all, Raja Pervaiz was born in Sindh and speaks Sindhi, but he was elected in Punjab. Even the carefully staged energy riots look a little bit awkward with a new Prime Minister who, as Minister of Water and Power, added more Megawatts to the national grid than anyone since the government of Mohtarma Benazir Bhutto. Imran Khan too seems to have been outplayed in this innings as he finds himself with a Vice-Chairman from a feudal family while Asif Zardari has a Prime Minister who rose through party ranks from a middle class background. By nominating Raja Pervaiz, Zardari has also neutralised Khan’s nationalistic appeals to security hawks. Though a liberal himself, Raja Pervaiz is strong on national security. In his first speech as PM, he declared that there can be no peace in Pakistan without peace in Afghanistan, sending a clear signal that the government continues to be united on defending Pakistan’s priorities. Qamar Zaman Kaira’s stellar performances on talk shows had many PPP supports hoping he would pull off a surprise win, but it’s Kaira’s unmatched ability to silence the chattering heads that made him indispensable as Information Minister. Some suggested the name of Hina Rabbani Khar, too – but her deft handling of foreign affairs means that she too is more needed where she is. What is impressive about this debate among PPP supporters is that despite losing such figures as Benazir Bhutto, Salmaan Taseer, Shahbaz Bhatti, Husain Haqqani, Yousaf Gilani, and Makhdoom Shahabuddin, PPP still has such a deep line-up from which to draw new players. Politics is a test match – not T20. You have to play a long term strategy if you want to win. 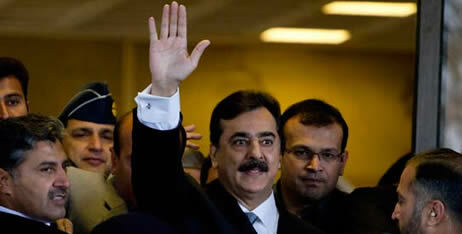 Zardari’s opposition thought they could force him to retire early, but he proved too skilled for that. Now they are praying for a draw. But with this latest innings, Zardari has shown once again it’s the opposition who is still chasing. The Supreme Court’s detailed verdict, finally delivered almost two weeks after they gave a short opinion, is not likely to clear up any confusion about the legality of the contempt case against the Prime Minister or the Court’s desire to re-open money laundering cases in Swiss courts. If anything, the Court’s detailed verdict leaves more questions than it provides answers. The Court readily admits that they were biased against the Prime Minister from the start. In Paragraph 27, the justices admit that they had already formed an opinion about the outcome of the case before arguments even began, but dismissed counsel’s argument that this deprived the Prime Minister of his right to a fair trial because they claim the opinion was “tentative”. The hearings were not to determine the Prime Minister’s guilt or innocence, but to give the Prime Minister an opportunity to change the justice’s pre-determined opinion. In other words, the Prime Minister was never given a trial at all. The court skipped straight to appeal. Even this appeal, though, is questionable. According to Paragraph 47 of the detailed verdict, the prosecution concluded by submitting “that the evidence on record does not establish the charge of contempt” against the Prime Minister. This begs the question if the prosecution and the defence both submitted that the evidence does not establish the charge of contempt, how did the Justices come to the conclusion that it did? Did the Court decide that the prosecutor wasn’t prosecuting well enough, so they decided to act as both prosecutor and judge? How could this possibly be considered as a fair trial in accordance with Article 10A of the Constitution? The most important question that remains unanswered, however, is an old one, but one that the detailed verdict makes ever more glaring: If the Supreme Court truly believes that the President was involved in money laundering and kickbacks that illegally deprived the state of official funds, why don’t they take suo motu action and open a case themselves? Why do they need the Swiss at all? The Court, of course, refuses to answer this question just as they refuse to answer the question of whether Article 248 grants the President immunity during his term in office. They refuse to answer the question because they know the answer and it isn’t what they want to hear – Article 248 obviously grants the President immunity during his term in office, so they can’t open a case themselves without violating the Constitution. In Paragraph 40 of the detailed verdict, the seven-member Bench “is in no position to examine the plea” that the Constitution provides the protection of immunity to the President. Why not? They do not explain. Perhaps it is because the obvious conclusion to such an examination would undermine their cause? It is notable that the Honourable Court refuses, once again, to acknowledge what is plainly written in the Constitution. The Court then goes on in Paragraph 41 to claim that they cannot accept the Prime Minister’s plea to delay the writing of the letter until the President’s term of office has expired and he no longer enjoys Constitutional protection. According to the Court, “this Bench has no power to modify the judgments and delay implementation”. And yet the same Supreme Court has no problem issuing a string of extensions to the memogate commission. Why does it seem that the Honourable Court can find the power to modify judgements and delay implementation when it suits them, but not when it is inconvenient? Could it be that because Article 248 presents such an obvious obstacle to the Court’s desired ends, they have cleverly decided to have someone else do the work and ordered the Federal Government to request Swiss authorities to open cases against the President for them? This, too, raises serious questions about the Court’s order. In Paragraph 5 of the detailed verdict, the Supreme Court writes that “the status of civil party and the claim lodged to the allegedly laundered moneys lying in foreign countries including Switzerland are declared never to have been withdrawn”. If the withdrawal never happened, why, then, does the government need to write to request that the case be re-instated? Shouldn’t the Ministry of Law be able to write asking to be added back as a civil party to the case? Of course not, because the cases were originally opened by and closed by the Swiss courts, and regardless of what the Supreme Court of Pakistan demands, the cases will remain closed until the Swiss themselves choose to re-open them. 43. Since complete facts of the case in Switzerland are not before us, we are in no position to form a definite opinion about its status when the claim was withdrawn nor indeed are we competent to give our own findings on the case, even for the limited purpose of determining the question of immunity. But later, in Paragraph 56, the Supreme Court states that it does not believe the case was closed by the Swiss authorities on merits. We, therefore, entertain serious doubts regarding the claim that the case in Switzerland was closed on merits. Here again, the Supreme Court’s decisions seem to be based not on a consistent application of law and reason, but on what it most convenient to the outcome that they seek – even if it means contradicting themselves in the same order. The Supreme Court can find that the previous letter requesting withdrawal as a civil party to the case was in error, but writing a new letter to foreign authorities requesting that a case be opened against a Pakistani citizen is an enforcement action which falls under the purview of the federal government alone – not the judiciary. Otherwise, why don’t the justices simply write to the Swiss and re-open the cases themselves? Because they can’t, and they know it. They don’t have the constitutional authority to do so any more than they have the constitutional authority to open cases against the President themselves. The Court argues that Article 190 requires authorities to act in aid of the Supreme Court, but basic common sense tells us that even this power only applies to orders that fall within the Supreme Court’s constitutional authority. If the Supreme Court can compel the Prime Minister to write a letter, can they also compel him to bring them chai-samosa? Can the Chief Justice order the Law Minister to wash his car? Will he be found in contempt if the windows are not clean enough? This argument, if accepted, would set a dangerous precedent and anyone would then successfully flout the orders of the Courts by pleading that according to his interpretation they are not in accord with the law. But the inverse of this is also a dangerous precedent – a vindictive or biased Judge could successfully flout the clear and unambiguous language of the Constitution by issuing an order that was clearly unconstitutional and then demanding that its authority cannot be questioned. According to the Court, “interpretation of the law is the exclusive domain of the judiciary”. Likewise, external affairs with other countries “including the surrender of criminals and accused persons to Governments outside Pakistan” is the exclusive domain of Parliament according to the Federal Legislative List. The Court has no authority to request cases against Pakistani citizens be opened in foreign courts. The Supreme Court spends page after page after page describing in detail the past actions of government officials that frustrated their purpose – having a letter delivered to the Swiss requesting that a case be opened against the President. But all of this is irrelevant. If the justices don’t have the authority to open foreign cases, neither do they have the authority to direct someone else to do so. The decision of whether to write to the Swiss or not rests not with the Supreme Court, no matter how much they may wish it were so. 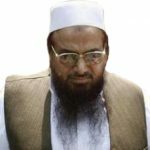 The big news this week has been the $10 million bounty offered by the US for Hafiz Saeed. The response was predictable. Hafiz Saeed taunted the Americans at a press conference near GHQ. And reactionary media talking heads like Javed Chaudhry took a break from defending acid attackers to defend Hafiz Saeed. And, of course, DPC’s Keyboard Commandos were out in full force defending Saeed’s ‘honour’. In other words, the Americans managed to do for Hafiz Saeed what he could not do for himself – get attention. Which is too bad, because while Hafiz Saeed is bathing in the lime light, there’s actually something interesting going on that will have a greater effect on national security and Pakistan-India relations than Hafiz Saeed and his band of merry raiders could ever dream of. 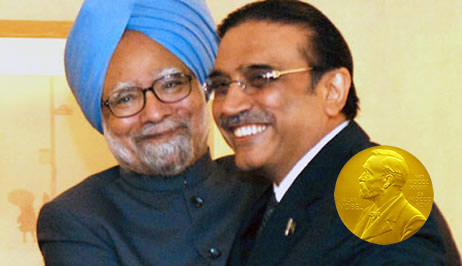 I am referring, of course, to President Zardari’s trip to India. While PTI and Hafiz Saeed’s Difa-e-Pakistan are upset that India is not sending its hockey team to Pakistan, the president is not allowing such minor issues get in the way of improving relations. Actually, if India not sending its hockey team is the worst example these hard line right-wingers can come up with, I would say we’ve already made a lot of progress. And progress seems to be going on despite all attempts by right-wing elements to maintain the status quo. According to a report by BBC, the president’s trip is being appreciated widely in India where it demonstrates an effort to move beyond the past ways of confrontation to one of respect and appreciation of mutual interests. Is it any wonder that PTI and Difa-e-Pakistan are upset? If President Zardari continues to ease tensions and build trust between our two nations, it is much more likely that important issues like Kashmir will be solved. And if issues like Kashmir are solved and the India bogey goes away, guys like Hafiz Saeed and the other status quo religious parties will be out of a job. On Tuesday night, Najam Sethi predicted that President Zardari has already achieved a historic breakthrough, but that it is being kept under wraps because of fear that groups like Difa-e-Pakistan will try to wreck the process before it is complete. According to Sethi, part of the agreement involves removing Indian troops from Siachen. While this is exactly what Pakistan wants and needs, it is exactly the opposite of what Hafiz Saeed and other right-wingers want. They want the status quo – an eternal standoff with India. Otherwise, they are completely irrelevant. 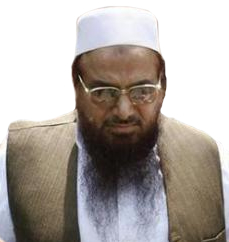 Hafiz Saeed is loving every minute of the attention that is being lavished on him. The gazi wanna be is even begging the US to carry out a military raid against him. Something that is not likely to happen, however, because it seems that Hafiz Saeed simply doesn’t matter anymore. The Supreme Court’s decision to formally indict the Prime Minister on charges of contempt on Monday revolves around the question of presidential immunity outlined in Article 248 of the constitution, and yet this important fact seems to have been all but ignored in the discussion of charges against the PM as the court and the media prefer to discussion whether or not the PM is disobeying the court’s order. Before a decision can be made on the wisdom of not writing the court’s desired letter, though, a thorough review of the Supreme Court’s order to write the letter must be undertaken. When the government responded to the court’s order by explaining that Article 248 prevented them from pursuing cases against the president while he is in office, the first argument that the president’s opponents made was that he only enjoyed “qualified immunity” for actions taken in the course of his official duties. Article 248 seems pretty clear about granting the president absolute immunity, though – “No criminal proceedings whatsoever shall be instituted or continued against the President or a Governor in any court during his term of office.” Opponents then changed their argument to say that the constitution gives him immunity in Pakistan, but not in foreign courts. Of course, this is wrong, too. Article 248 says very plainly “in any court”, not “any Pakistani court”. This then moved the Chief Justice to make the bizarre claim that the president can’t claim immunity based on what the constitution says, that he has to come and beg His Lordship to grant it. Zardari haters then began claiming that Article 248 required “interpretation”. 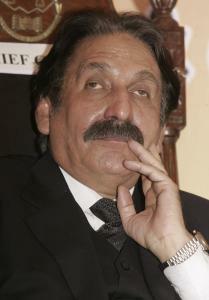 Justice Ali Nawaz Chowhan, an International Judge of the United Nations at The Hague, Permanent Judge of the Lahore High Court, a visiting Professor and Co-Chairman of Unesco Appeal (Judicial) Board has explained that such a suggestion is prima facie silly – the language of the constitution is plain and does not require interpretation. Despite the plain language of the constitution, the Chief Justice has ordered the Prime Minister to write a letter to the Swiss authorities requesting that corruption cases be opened against the president – an act that is clearly against the constitution. This puts the PM in a ‘damned if you do, damned if you don’t’ situation. Rather than disobey the constitution, the PM is following the recommendation of his legal advisors and not writing the letter. For disobeying the Court’s order, he has been charged with contempt. The Prime Minister said that if he is convicted, he will follow the law and step down. Reportedly the government has already prepared for this scenario. Article 248 has been widely discussed as the reason why the PM can’t write the letter to the Swiss authorities, but what hasn’t been discussed is the issue of “qualified immunity” for the Prime Minister himself. It names the Prime Minister specifically, and grants him qualified immunity for acts and performance of his office. This is not the same as the complete immunity granted to the president in Sections 2, 3, and 4 – it is the normal immunity granted to government officials that allows them to do their jobs without having the second-guess every act they take. What does that have to do with this case? If the Supreme Court decides to punish the Prime Minister for not carrying out an order that the law ministry advised was unconstitutional, they will be in violation of Section 1 of Article 248. More worrisome, the court will be setting a dangerous precedent – no longer will government officials be able to rely on the plain language of the law nor the advice of their legal counsel. Every decision taken will have to first be cleared by the Supreme Court, otherwise the officials will never know if any action will result in them being hauled to dock and packed off to jail. That’s not what is supposed to happen in a court of law, that’s what happens in a royal court.